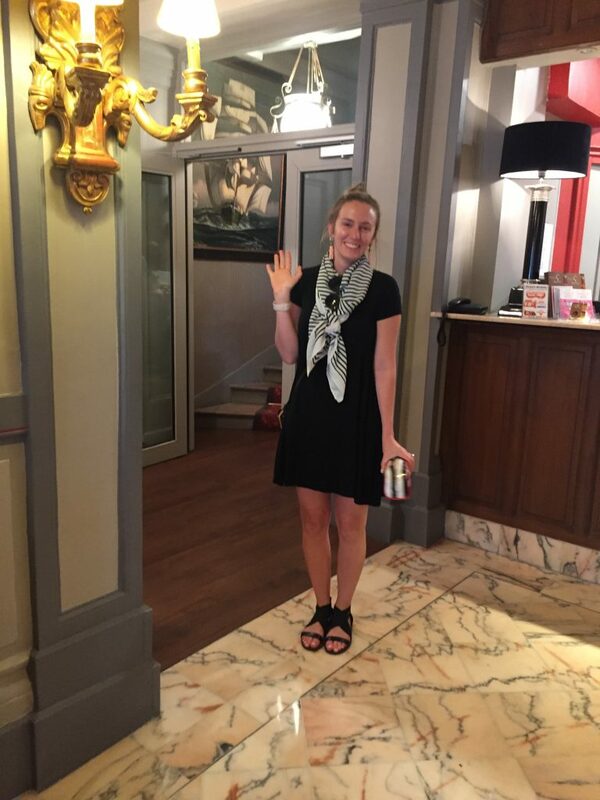 Meet Brooke and Kayla who arrived in Paris midday yesterday. Brooke is Debbie Dryer’s daughter, and she and Kayla were in the same sorority in college and best friends. Kayla works in South Carolina in the medical field, and Brooke lives and works in Atlanta as an industrial engineer for AT&T. They came by train from London where they had both been working for the past several days. They had some unfortunate hotel crazies at the last minute due to schedule changes in their work, but were finally able to find a room for last night. We will help them move to their “real” hotel today. Brooke has on the scarf, and Bernie was not expecting to be in the picture! 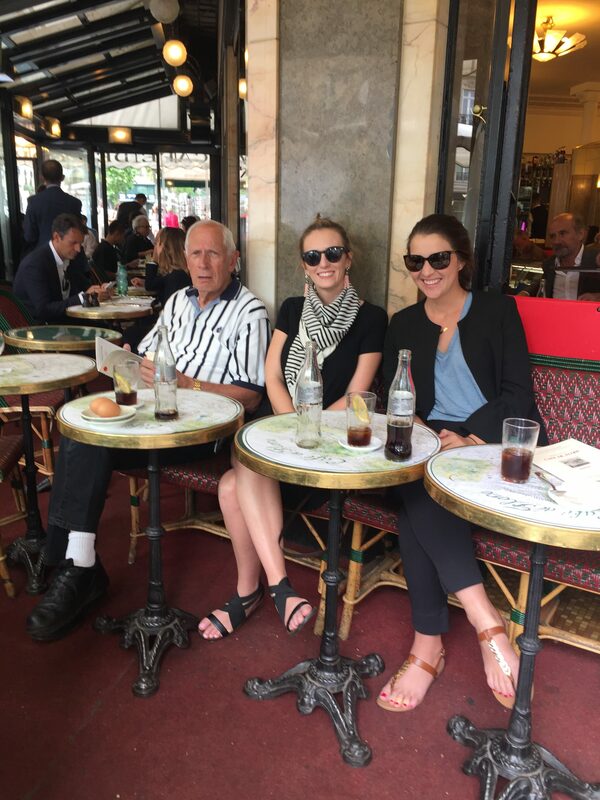 They were hungry so we started our day with lunch at the famous, historic Café de Flore and had the quickest service I’ve ever had there… after telling the gals that lunch would likely take two hours! Kayla, unfortunately, had a work meeting across town so we put her in a cab about 2:30 with hopes of linking up about 5:30 at the Louvre. 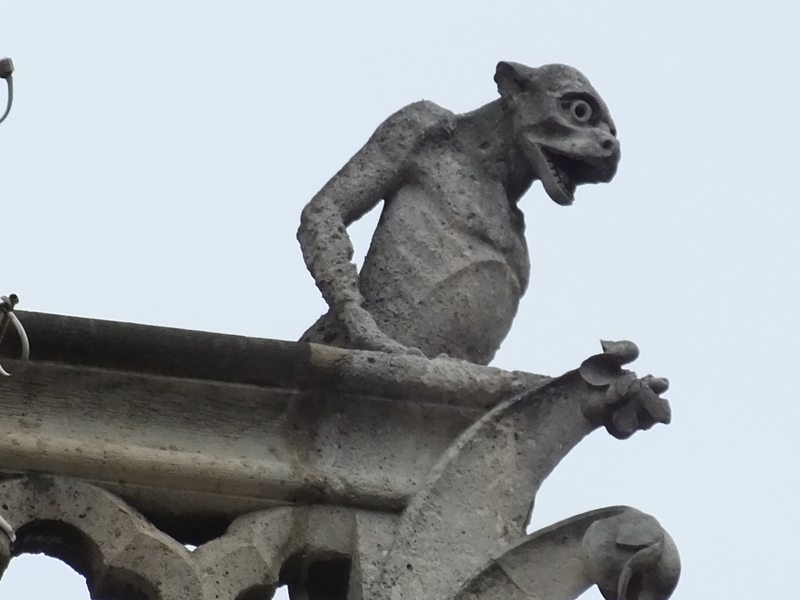 We toured Brooke through some of the highlights of the Left Bank including St. Sulpice Church, the quaint area around Le Procope, Place St. Michel, rue Huchette, the Shakespeare bookstore, and finally Notre Dame. It rained off and on for much of the afternoon so hard to grab many pictures. But as Brooke said, it didn’t take her long to buy a short trench coat on sale. (Ugh, no picture! You may need to fire the blogger.) 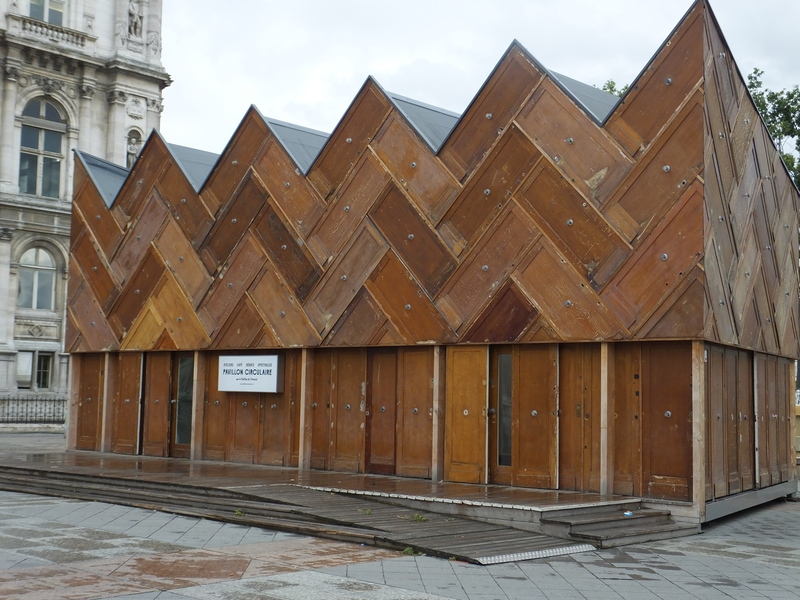 Then across to L’Hotel de Ville where Bernie took this interesting shot of a structure made of only doors. We were unable to reach Kayla for our rendezvous so got Brooke inside the Louvre with a well-marked map of about ten things to be sure to see. It’s open until 9:45pm on Wednesdays and Fridays, and we were hoping for less of a mob. That didn’t appear to be the case. Kayla finally joined her about 7pm. I left with some trepidation, but these gals are pretty savvy and made it back to their hotel by taxi. We have some fun-packed days ahead. 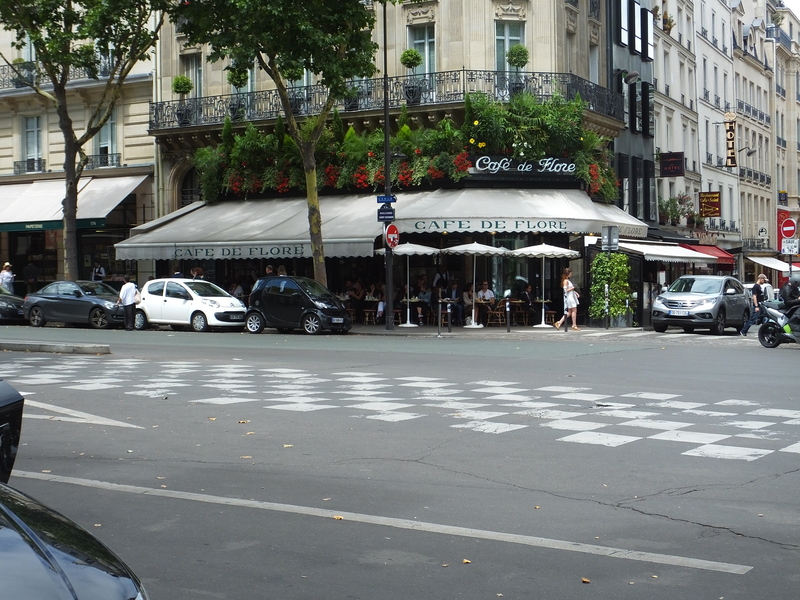 We’re off to the races today with long pants and a jacket as it should be in the 60’s most of the day at Montmartre and the Eiffel Tower. « A Rainy Tuesday in Paris…Finally! » Sharing Paris Delights in the Cold and the Rain! 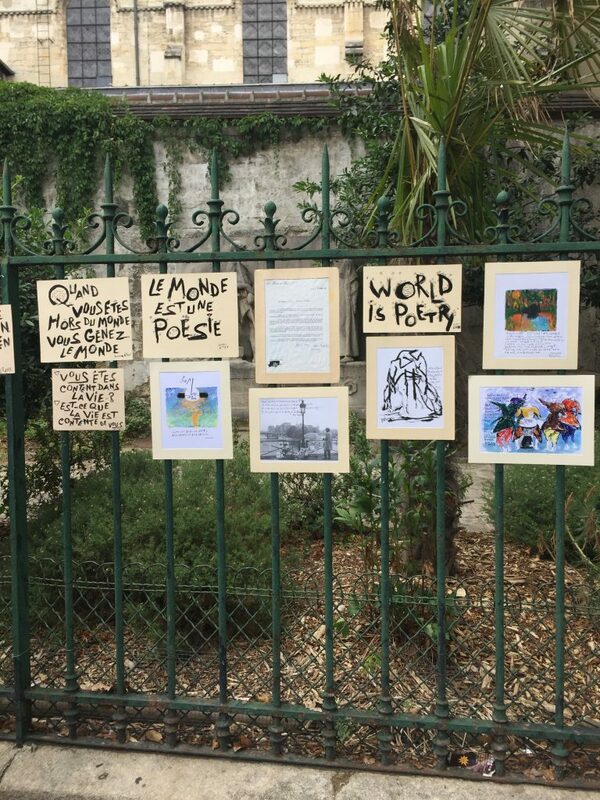 What lovely visitors and lucky young women, to have you and Bernie introduce them to Paris! Cheers to all for another great day. Merci Linda enjoyed your pictures . I can’t thank you and Bernie enough for being such great tour guides and hosts to my girls! Enjoyed seeing the smiles and look forward to following the adventures of the next few days. Give that sweet Brooke a hug and kiss for me! So glad they have you and Bernie to show them around. These two young women have no idea how lucky they are to have you and Bernie as their tour guides! Sometimes I’ll use an online interpreter as I follow you and Bernie. I’ve noticed that these translators will not only translate text but will take text in 1 language and then translate to voice in another language. Amazing to me. Do you see a lot of folks using these translators and other electronic aids? I would imagine that these new gadgets make things a lot easier, especially for travelers like Brooke and Kayla. A big change in the last few years? Electronics are everywhere, but mostly the usual phone and pads like we have here. It gets more so every year. Seems as if I watched them grow up over the years and they are wonderful young and smart ladies who are fortunate to have a terrific Mom!